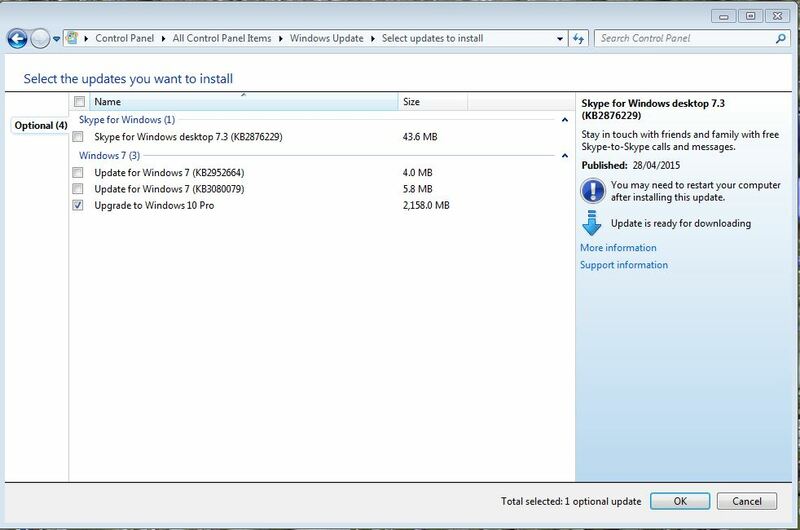 But, if you want to stay on Windows 7 for now, how do you just get the updates for Windows 7 and put the Upgrade to Windows 10 on the back burner? 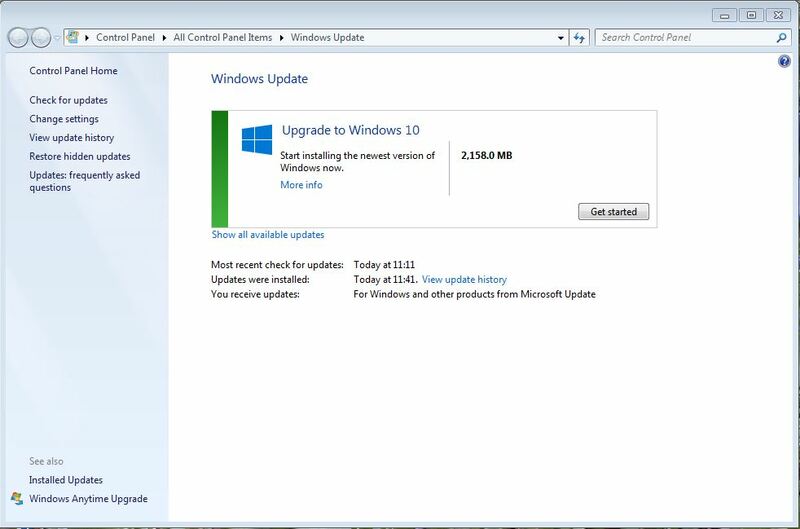 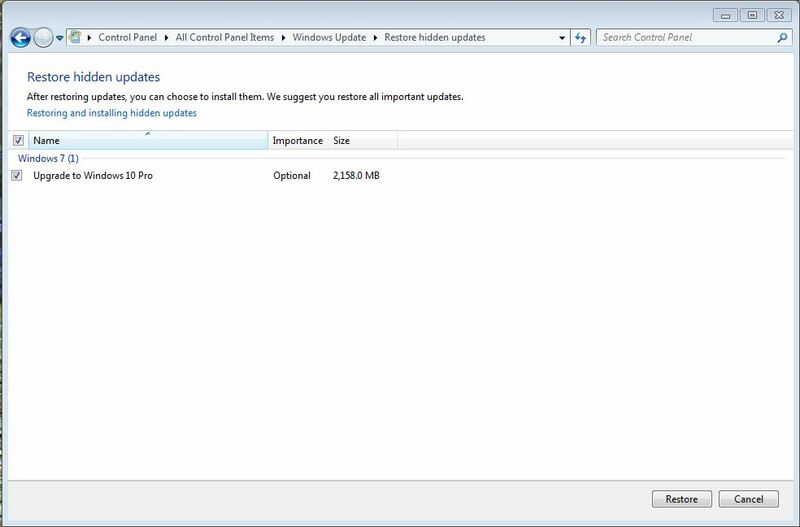 You’ll notice that the “Optional” Upgrade to Windows 10 is ticked, that’s a bit presumptuous! 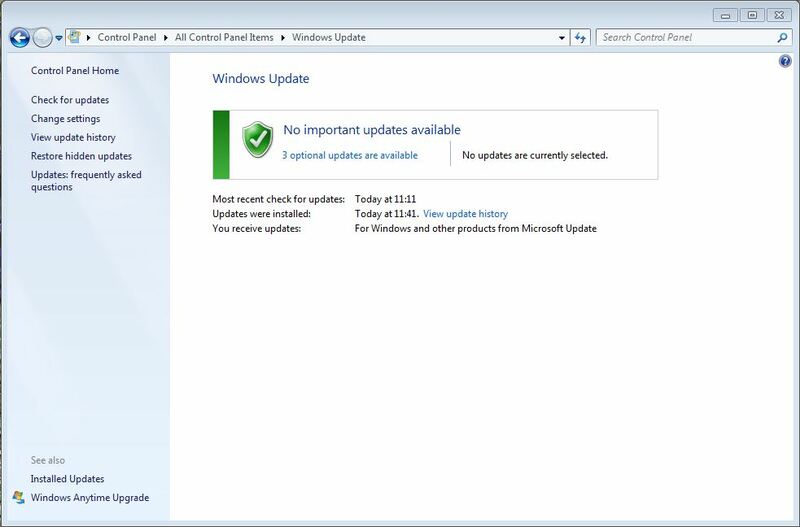 All you need to do is un-tick it and, to stop it re-appearing, right-click and select “Hide update”.